Cafe Pinot is a fine dining, California-French inspired restaurant in downtown LA. Featuring a beautiful outside patio garden setting, floor to ceiling windows, an incredible skyline view of the city, and attentive service, we offer a dining experience that is both relaxed and romantic. We offer lunch and dinner service, catering, and event spaces for weddings and other private events. Cafe Pinot is listed by Zagat as among the top-rated Californian restaurants in LA and offering the best outdoor dining, and is a destination wedding party venue in Los Angeles. 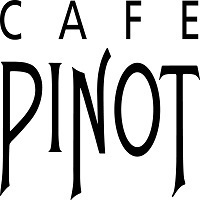 Cafe Pinot is located conviently next to the historic LA library and just minutes from The Music Center and the STAPLES Center, making it an ideal setting for pre- and post-theatre dining.